Hands-on with the Shabaka watch was very interesting. 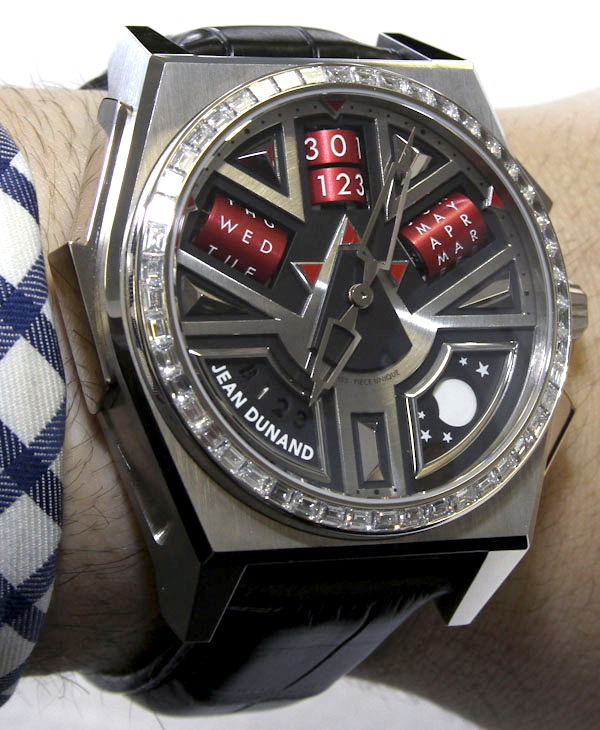 I have been fascinated by the Art Deco-themed watch by Jean Dunand since it came out a few years ago. 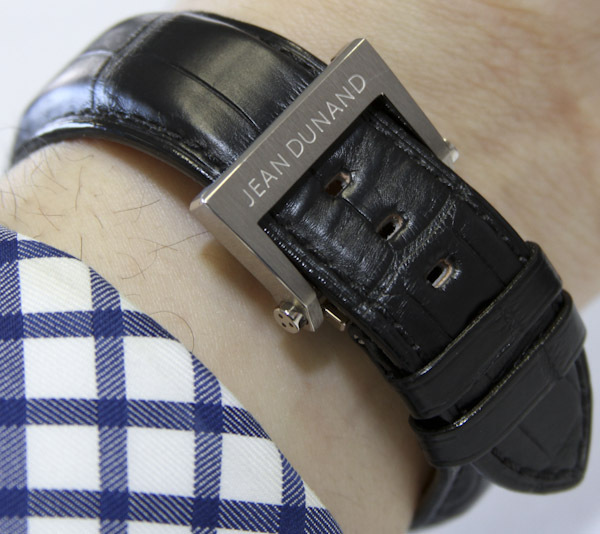 Jean Dunand is an interesting super-high-end brand that produces exclusively “piece unique” creations. On my wrist is an 18k white gold Shabaka with a baguette diamond-lined bezel. I think the Shabaka originally came out in 2007, but new pieces are slowly being made. The movement is entirely made and designed by Christophe Claret. 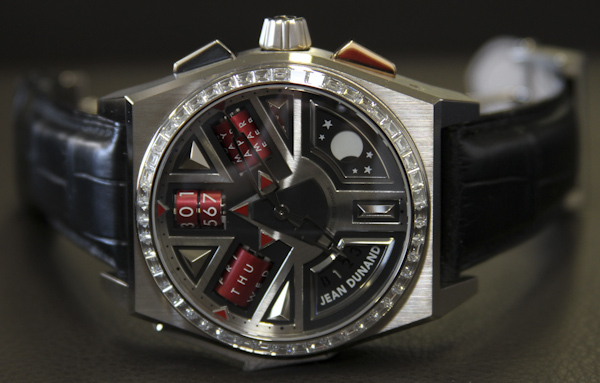 In fact, all Jean Dunand watches (Tourbillon Orbital, Palace) have movements done by Christophe Claret. Until Mr. Claret had his own brand, Jean Dunand was basically it. The Shabaka watch design is a combination of Art Deco and modern Egyptian, if that latter term even makes sense. There is something very strong and architectural about the design, like a fortress on the wrist. The size of the watch is 44mm wide, I believe, but it is very tall. The many angles of the case coalesce with a dial design that is highly unique. Here, Claret went all out with rollers and discs. Inside the watch is Christophe Claret caliber CLA88QPRM. I like trying to decode the movement name. The CLA obviously means Claret. The numbers involve what movement it is, either in some chronological or formal scheme. “QPRM” relates to the functionality, which is probably “quantieme perpetual repetition minutes.” Or something like that. As the name implies, the movement has a perpetual calendar, moon-phase indicator, and minute repeater. Oh, and the time–if you can spot the hands. 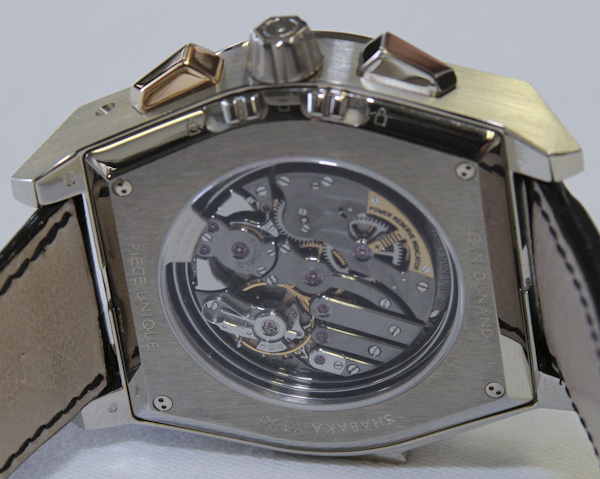 On the rear of the watch you can see the movement. Part of it says “power reserve indicator”, so I guess you can add that function to the list. It actually works by offering a view to the mainspring to see how tightly wound it is. Based on a few of his watches, I have deduced that Christophe Claret has a pet-peeve about pushers that you can accidentally press–but at the same time he prefers against inset pushers. So what he did for this watch was engineer little lever-locks on the underside of the case that apply to the pushers that adjust the calendar functions. Clever, right? However, you will see one inset pusher on the side of the watch which is likely for the leap year adjustment. 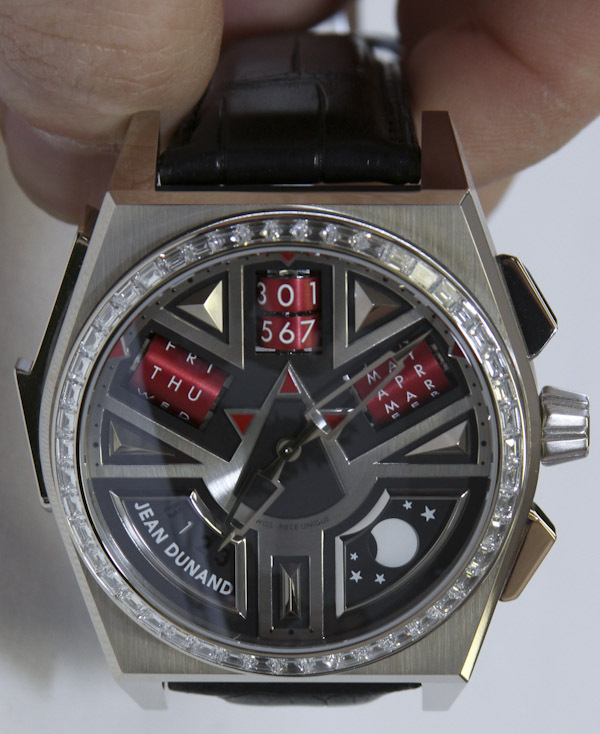 The dial of the watch shows the date, month and day-of-the-week on red aluminum rollers. The concept is very cool and was later applied in other ways to watches such as those Claret designed for Maitres du Temps (the Chapter One). Activating the minute repeater, a Christopher Claret specialty, requires pulling down on the lever on the left side of the case. The imposing look of the watch is multiplied by its incredible exclusivity and rarity. 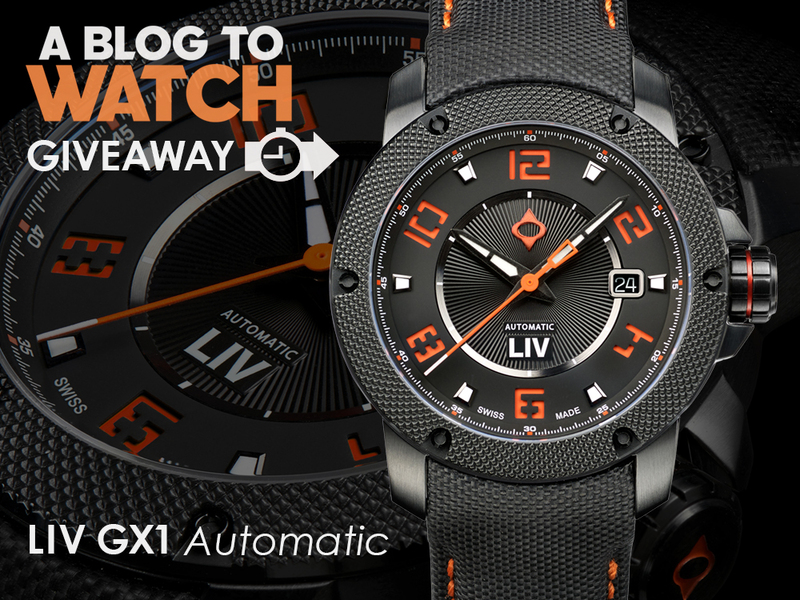 It looks pretty cool on the wrist as well, if you can pull it off. This model with diamonds is new, of course. One like it may be made in 18k rose gold as well. The way Jean Dunand often offers a new “piece unique” is by producing the same watch but with minor color or material differences. Still, they are produced in an extremely limited fashion. The Shabaka watch, named after the Egyptian pharaoh, with its diamond bezel is priced at around $500,000. 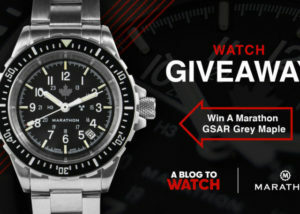 The movement itself is fascinating, but the watch as a whole has been executed with all the aesthetics of a puke pile. 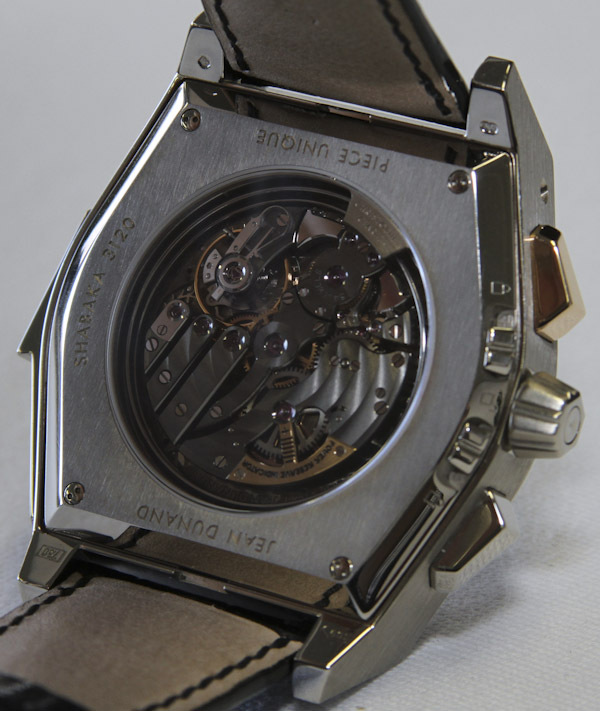 Seriously, that’s the ugliest watch I’ve seen with a half-million dollar price tag. The complete sh*t “fashion watches at the flea market are better looking than this mess. Putrid. Oh, its not that bad Russ! At first I thought; isn’t Shabaka still in jail for killing a cop in Philly… Or was that the voter intimidation Black Panther guy… Neither! It’s a “watch” done in a “Deco” style by Attila the Hun, Deco really? Even if I squint real hard It ain’t there. Too much bling for my personal taste, must be amazing to hold such an expensive watch though. Its an upside down peace sign. @nolasensei Unfortunately for your method of thinking, both Saddam and Gaddafi are both dead.